LONDON – Uganda has been named one of the secret suppliers of weapons that originate in the EU, US and China to South Sudan, defying an arms embargo imposed on the troubled nation by the European Union and United Nations, a new report shows. The report published by the London-based Conflict Armament Research (CAR) says the diversion of the weapons appears to have taken place without the knowledge of the original exporters and may have breached the end-user and non-retransfer condition of sale agreements with South Sudan’s neighbours, it says. “Some of the military material retransferred from Uganda to South Sudan in potential violation of non-retransfer and end-use restrictions was exported to Uganda by states, including some EU member states, that had already imposed regional or unilateral prohibitions on arms supplies to South Sudan,” the report reads in part. 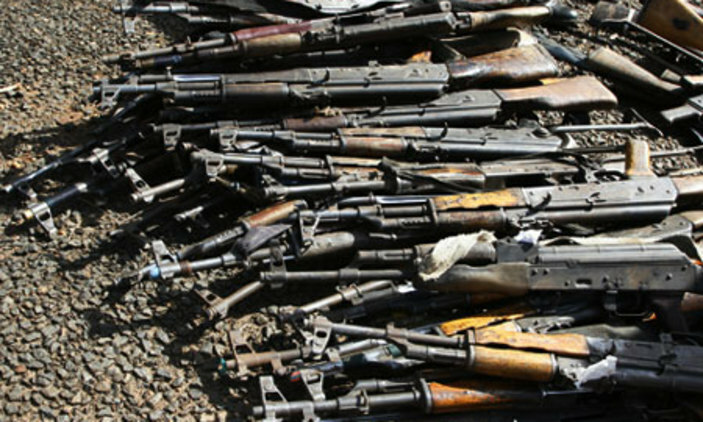 Weapons and ammunition purchased by Uganda from EU member states Bulgaria, Romania and Slovakia were diverted to the South Sudanese military and armed allies in Sudan. The so-called retransfers took place after the EU imposed an arms embargo on South Sudan, the report says. It also notes an instance where a US military jet that was previously used in the Ugandan airforce was deployed in South Sudan in possible violation of arms export controls. “South Sudan arranged for Uganda to issue end-user certificates (the essential paperwork for an international arms transfer)…to make it look like these weapons were for the use of the Ugandan armed forces when in fact they were always destined for South Sudan,” Mr Mike Lewis, the head of CAR regional operations was quoted in the report as saying. However, Deputy Defence Minister Charles Okello Engola said Uganda would never undermine an international embargo and took measures to ensure weapons did not cross its porous borders. “I have nothing to do with a country procuring equipment from other countries and passing through our country. We don’t have any powers of doing that, as Uganda, to supply equipment to other countries in that kind of manner,” he said.